> chemicals aside, I SMELL MENDACITY in the form of PHOTOSHOP! 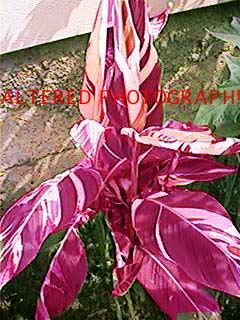 Like this "photo" of a variegated canna. There used to be one of a variegated Monstera with the same "modification". I think Dewey Fisk had a copy of it.